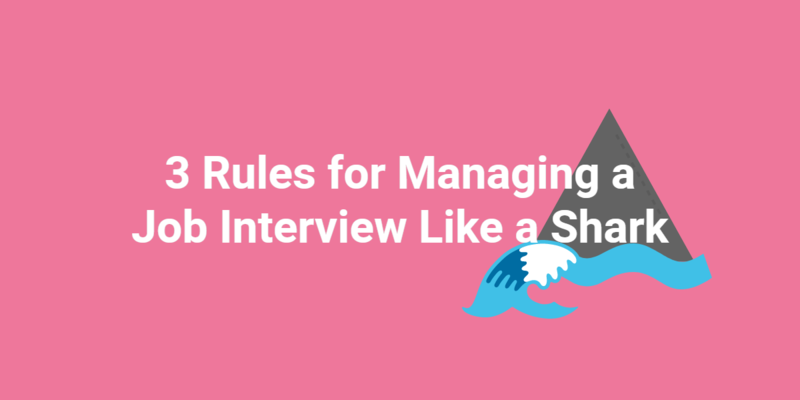 Though interviewing can be time-consuming for a hiring manager, its importance should never be underestimated. When your interview process is in peak condition, it enables you to get a 360-degree view of a candidate in a way that a resume simply doesn’t illustrate. From there, you’re better able to make a hiring decision that serves your company well in both the short- and long-term. Ask questions that let the individual show their personality. While it’s great to learn about who this person is as a professional, it’s equally important to gain information about them as an individual. Who you are outside of work can easily bleed into your professional life, too. Do they love adventure? Do they value building deep relationships? People want to work for a company that feels warm and inviting, and this starts in the interview process. You can be warm and friendly while still maintaining an air of professionalism. And with questions focused on the person’s life and hobbies, you might find that you learn information about the individual that leaves you a tad more hesitant than when you started. If they talk about the new business they’re launching in another state, you have to wonder about how they’ll be able to fully dedicate themselves to this role as they get this fledgling company off the ground. While you shouldn’t immediately discount them because of this, it’s something worth discussing honestly. Talking about how an employee would react to a situation hypothetically can clue you into their logical reasoning, but you might find that adding a practical element to your interview process is an even more helpful way to get a sense of how this professional operates. This is especially true if you’re working in a field that’s predominantly hands-on, such as graphic design or engineering. Rather than sit there and talk in theory about the work, let them demonstrate to you how they’d approach the situation. Want to see how a candidate works? Have them demonstrate their skills in the #jobinterview. Speak directly to company culture. Illustrating your company’s unique culture in a subtle way is terrific, but when you know this matters to a candidate, you should also address the topic head on, too. What are the visions and values that drive your office? How do you work to boost camaraderie at work? Can employees join a company-wide softball league? A lunchtime book club? What kinds of personality types typically thrive within the office? You know job candidates are wondering about these topics, so provide them with the information directly so they don’t have to try to fill in the blanks themselves. Have the interview in a neutral, casual location. For some candidates, heading into an office for an interview is an overwhelming experience. They may deal with extreme nerves that leave them tongue-tied during the conversation. Later, they’ll end up kicking themselves about their lackluster performance. Hiring managers have become sympathetic to this, which is why some opt to do initial interviews off-site. A more neutral location, such as a coffee shop, can keep the job seeker at ease and lets the conversation maintain a more relaxed feel. When this is the case, the individual is able to answer questions more authentically. This gives the hiring manager a better sense of who this person really is. From there, the person can come by the office for a tour and a quick meet-and-greet with staff members. Putting yourself into the job seeker’s shoes is an important part of building a successful interview process. Anyone can talk about how interested and excited they are about a position, but a person’s body can tell a totally different story. Are they slouching in their seat with their arms crossed, which can indicate boredom or a lack of engagement? Are they leaning forward and nodding, while maintaining good eye contact? This shows that they’re invested in the conversation. Listen closely to what the person is saying, but don’t forget to see if their physical cues match with the thoughts they’re verbalizing. Consider how technology has changed. Your hiring process should evolve as technology does, in order to accommodate your candidates most effectively. Technology that was once outrageously priced or only available to the largest companies is now available to make hiring easier for businesses of all sizes across all fields. Video interviewing software, for instance, can help you accommodate candidates in different parts of the country. It gives you the ability to have a dialogue with them without having to fly them in or deal with coordinating time zones. Even if the individual lives in your city, this technology adds an extra level of convenience to the process that candidates will appreciate. Ask for feedback from current employees. There may be subtle nuances that you haven’t picked up on that are making your process unpleasant for those looking for new career opportunities. One way to find out if this is the case is by asking those who have been through the process. What was their experience like? Did they think the interview process went on too long? Did they wish you had been clearer about what the next steps were? This honest feedback may not always be easy to hear, but it’s valuable. If you’re not sure if your employees will feel comfortable offering it up directly to you, create a way for them to submit their critiques anonymously. 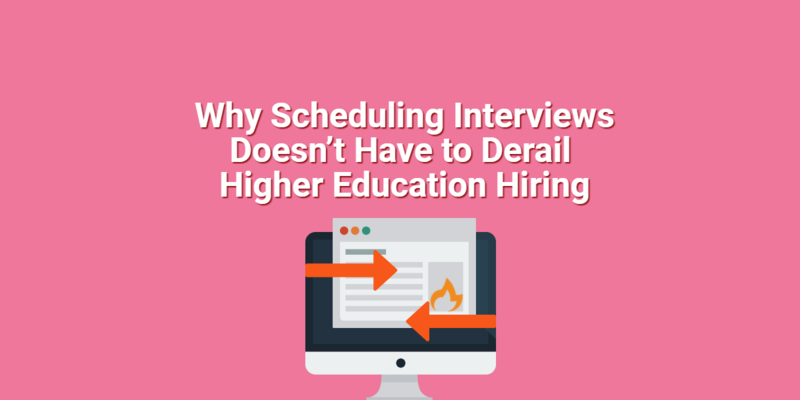 A wise hiring manager takes time to review the company’s hiring process periodically. Aspects of the process that seemed important five or 10 years ago may be irrelevant at this point, or you may find that your company culture has shifted and the way you interview needs to pivot accordingly. Because hiring is such an essential part of what your business is all about, it’s necessary to keep a close watch on whether your hiring process is serving your brand effectively. Want some expert advice on how to improve your interview process? Get Spark Hire’s new eBook, The Expert Guide To Conducting The Most Effective Job Interviews.